If you are a blogger or social media lover than this is for you. 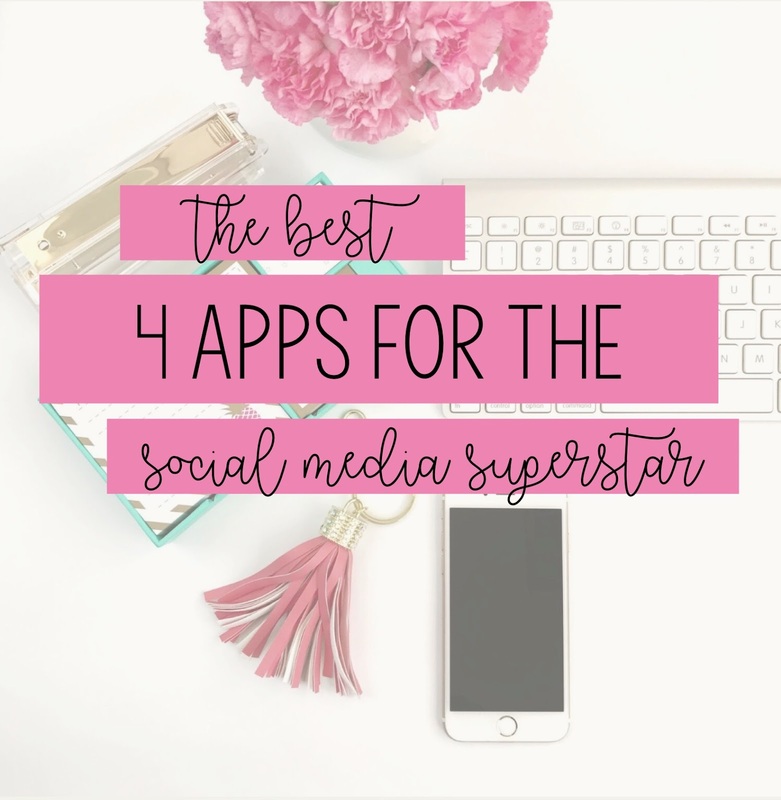 There are four apps you need on your phone immediately to help you produce the best content. This app is amazing for templates you can readily edit that you can use for all social media platforms. There is a paid option and a free option. I think there are enough templates with the free option for you to have some beautiful templates to work with. If you follow me on Instagram and you have the app you will see how I have turned their templates and make them fit my style. Right now I am working on really paying attention to the color of my feed. It is a work in progress and Over is helping me to achieve my style. I use this app to plan out my photos I share on my Instagram feed. One feature I never noticed until recently that it also has is you can plan out your InstaStories as well. One big reason why I like Planoly is I can set up my caption of my photo perfectly with all the tags, hashtags, and spaces that I desire. It is a must, in my opinion, if you have an Instagram account. This app has a paid and a free option. With the free option you are limited to the amount of photos you can upload to Planoly each month. I used the free option for a year and just recently converted over to the paid option because I am working on getting at least two-three weeks of photos done at one time. If you are a selfie lover like me than you need this app. Have a pimple that you need to smooth out? No need to fear the smooth tool makes it so easy to do just that. Every time I use my phone to take my selfies now I always upload it to this app first to fine tune any details. This is my all time favorite photo editor. I can play around with the exposure, brightness, and curves so easily. I already know the ins and outs of a DSLR camera, so this app makes it easy to apply the settings I like to use when editing a photo. I mainly use this app when I am taking photos with my phone. Any photos I share using my DSLR are straight out of the camera. I am a big believer in shooting it right in camera so there is less editing to do. Anytime I shoot with my DSLR and need to edit it is mainly to fix the Highlights and Shadows of the photo and maybe bump up the exposure, if needed. Other than that, I am not doing much post-editing. I hope these apps help you take your social media game to the next level. They are already helping me tremendously. What are some apps you absolutely love?